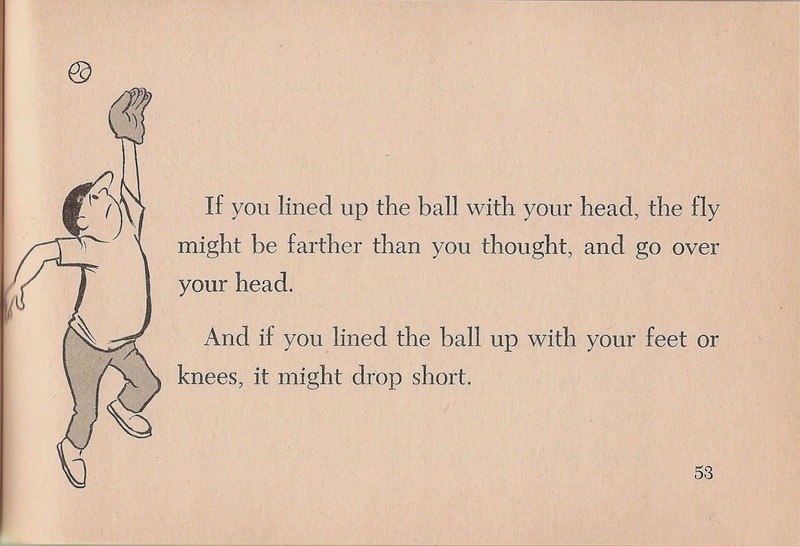 I found this childhood gem at a take-a-book, leave-a-book shelf at the local food co-op. 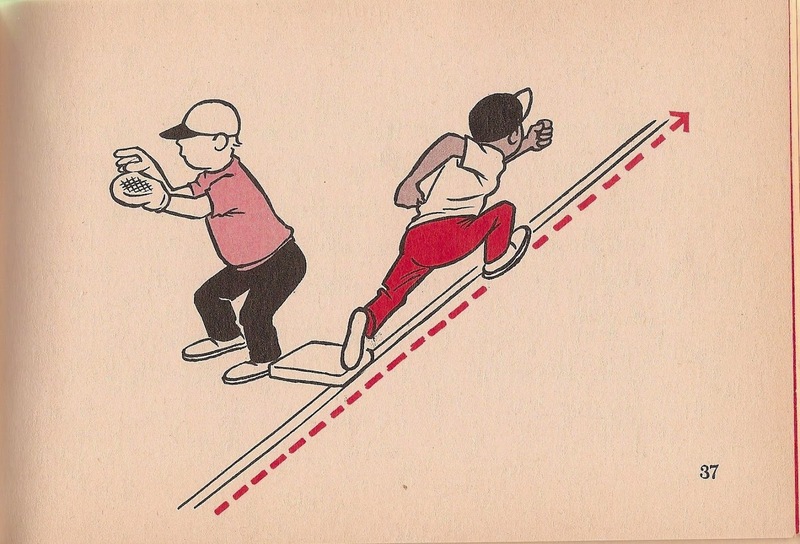 Published in 1973, the slim volume is chock full of tips aimed at kids, most decent—choking up, running to where you think the fly ball will land in the outfield, striving to hit the ball up the middle while at the plate. 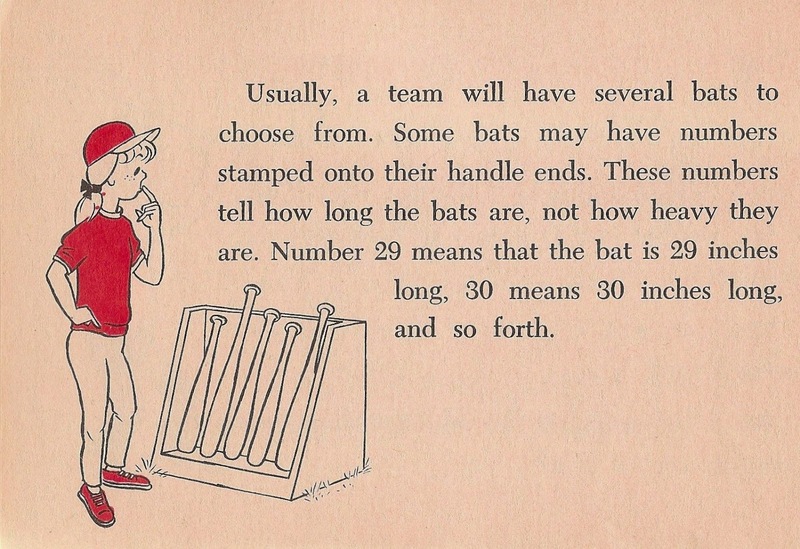 From choosing the right bat, to running through first base on a ground-out, to how to correctly grip a fastball, these helpful instructions were duly memorized by kids on the weekends and put into sometimes unhappy practice on ball fields across the country. 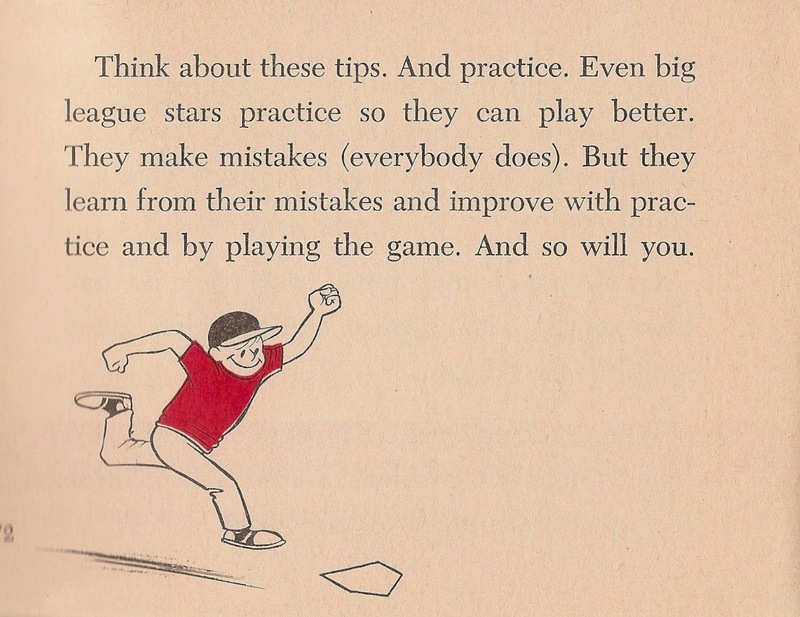 One of-the-era comment caught my attention, on page 20: "There are very few homers, but plenty of high flies are caught for outs." 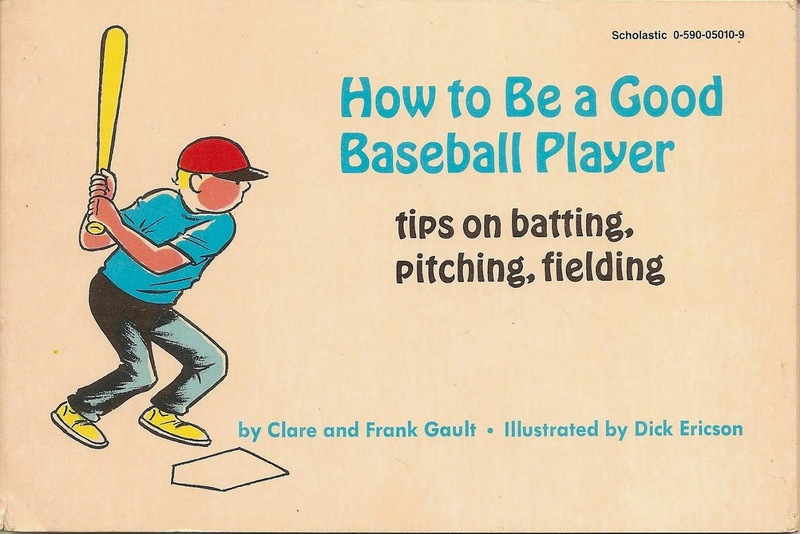 The authors—Clare and Frank Gault, who wrote several Scholastic Book Club baseball titles—may have been referring to the anemic power of most ten-year-olds, or possibly to the characteristically weak early-70s sluggers, at least relative to our era. In 1972 there were 34, 071 innings pitched and only 2,534 balls hit out of the park, a percentage that would change demonstrably over the next couple decades. 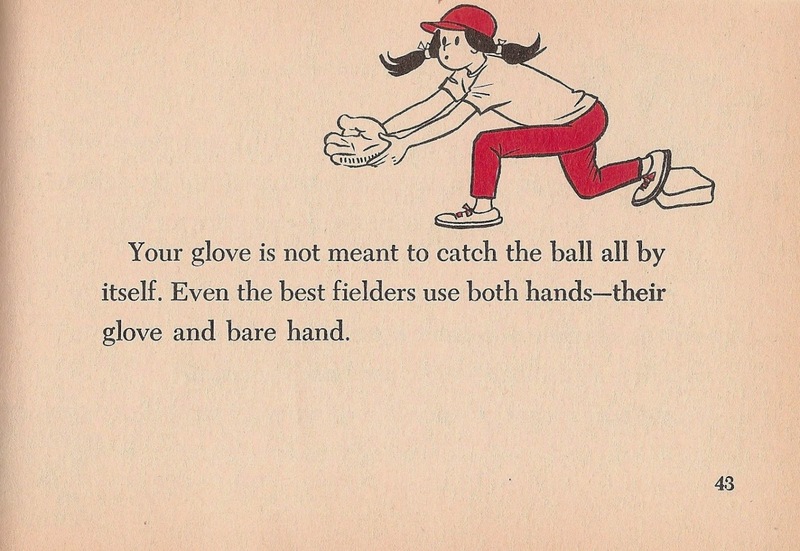 It's nice to see girls on the field, too. This kid's not having a great day.